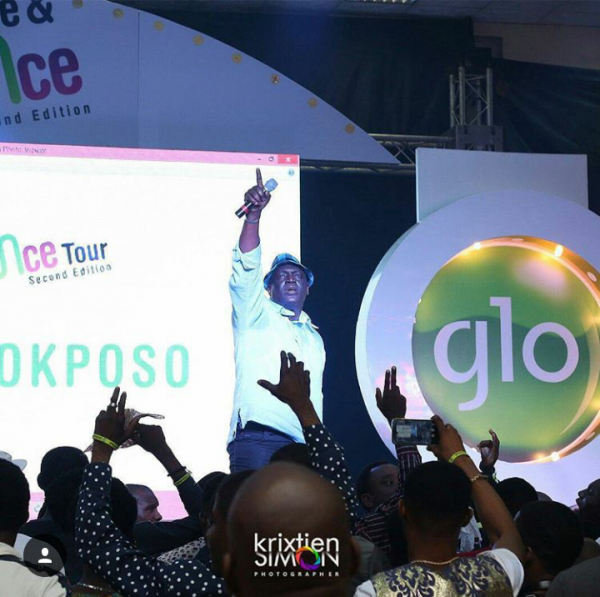 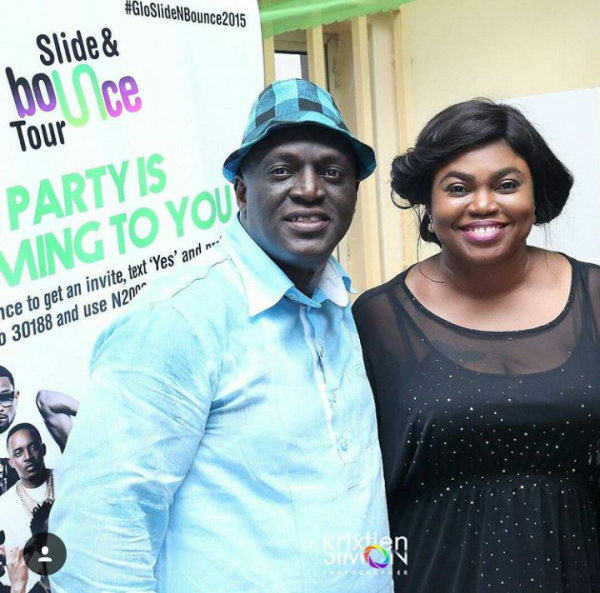 Renowned International Gospel Artist and Glo Ambassador, Sammie Okposo gave an ultimate shutdown performance at the Ikorodu edition of the GLO Slide and Bounce Tour this last Saturday 12th September 2015. 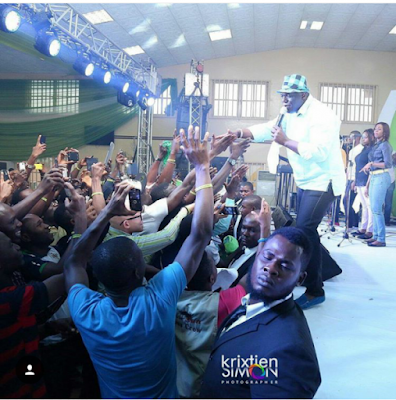 With his energetic team, Sammie Okposo created a frenzy of unlimited fun and dance with his captivating gospel songs and held the crowd to ransome for close to 30 minutes. The crowd couldn’t stay still for long in the dedicated sitting area and soon enough, they ran towards the stage to sing and dance along with the Wellu Wellu master. 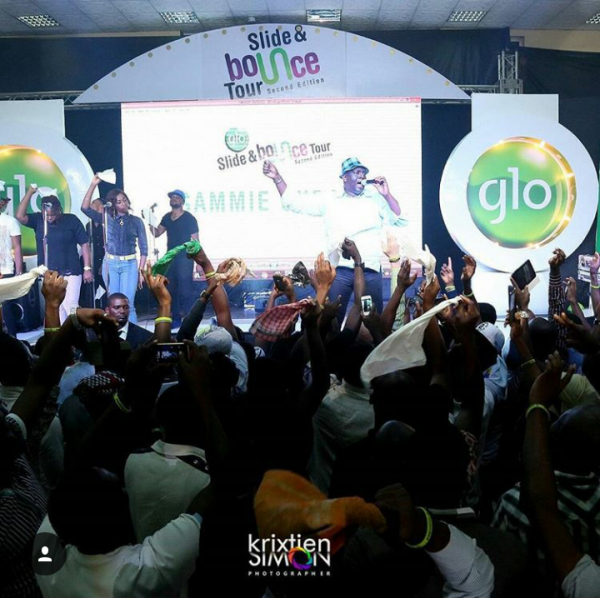 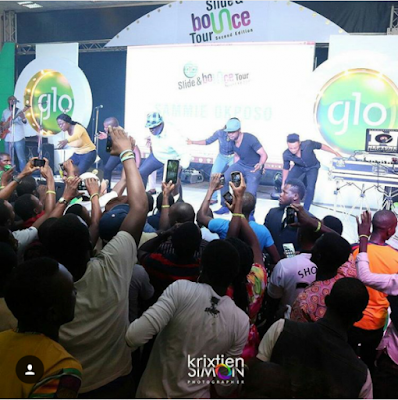 The House On The Rock worshipper is on the Slide and Bounce nationwide tour alongside other ambassadors including Wizkid, Di’Ja, Wande Coal, PSquare, MI, D’Banj, Korede Bello, Bez and Flavor as GLO gives back to its subscribers this season.